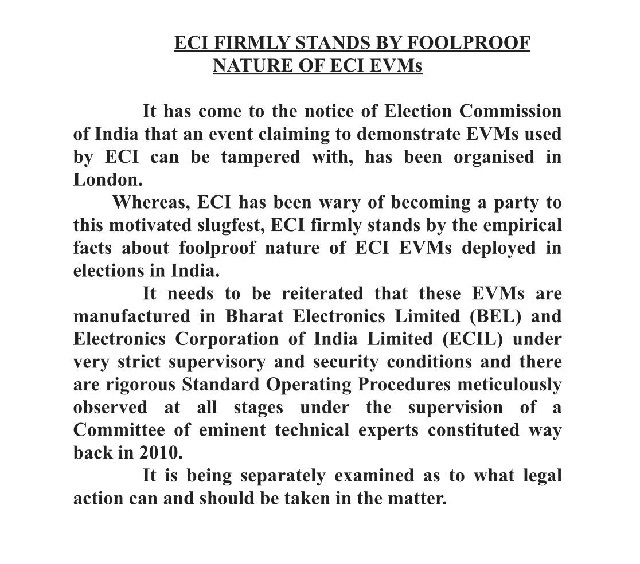 In a shocking claim, at a press conference in London today, Syed Shuja, a former employee of the Electronics Corporation of India Limited (ECIL) alleged that BJP leader Gopinath Munde was murdered in 2014 because ‘he knew about electronic voting machines (EVM) hacking’. As per police sources, Munde (64) was on his way to the Delhi airport when the SX4 he was travelling in was rammed by a speeding Indica car at the Aurobindo Marg-Tughlak Road intersection at 6.20 am on 3rd June, 2014. The US-based cyber expert, who claimed to have designed the EVMs used in India, reportedly said that the elections in Maharashtra, Uttar Pradesh, and Gujarat were rigged.The event, which took place in London, was organised by the Indian Journalists’ Association (Europe). After the conference ended, the reporters present at the event demanded to know if they would be given documentation to support some of the claims made by Shuja. Syed said that he is willing to share the documentation on the same. The commission said it is reiterating that EVMs used in Indian elections are manufactured under “very strict supervisory and security conditions”. The commission suggested that it is mulling taking legal action in response to the claims made at the London event today. “It is being separately examined as to what legal action can and should be taken in the matter,” the EC said. Mamta Banerjee, Chief Minister of West Bengal, tweeted how the great democracy must be protected. She disclosed that all opposition parties discussed the EVM hacking issue post the United India rally on Saturday.